OnService Solutions was established as a privately held Limited Liability Company in the state of Massachusetts in 2008. The concept for the company’s flagship product, OnServiceMD, emerged from a practicing hospitalist, Dr. Steven Pestka. Dr. Pestka found substantial redundancies, safety vulnerabilities, and inefficiencies in the hospitalist’s daily workflow. As any practicing physician knows, these issues end up causing a great deal of frustration and wasted time each day. More concerning was that these inefficiencies removed doctors from where they needed to be most: in the room, face-to-face with their patients. Dr. Pestka set out to revolutionize inpatient MD workflow. Partnering with a world-class development team and business advisors, Dr. Pestka reconsidered all processes which pertain to the daily workflow of a practicing hospitalist. 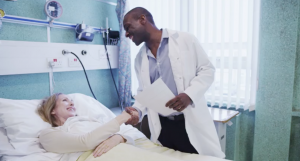 Now, nine years later, OnServiceMD is used daily by practicing hospitalists every day to streamline workflow through its innovative process redesign. REQUEST A BROCHURE OR SCHEDULE A DEMO NOW. We’re here to help answer your questions. Hospitalist scheduling and clinical workflow are mission critical functions – learn about OnServiceMD now. With OnServiceMD Version 1.0, major gains to hospitalist workflow efficiency were realized. Patient triage, admission assignment, morning distribution, off-service hand-offs, and integrated secure communication were all features implemented in this first released version. Version 2.0, released in 2013, added multiple enhancements which improved user experience, added several new features, and optimized overall performance. A changing IT landscape required that the software be completely re-engineered to ensure that the software stays ahead of user expectations. Much of these changes in Information Technology pertained to increased use on mobile and tablet devices. Corresponding with these IT changes was the growing importance of electronic scheduling solutions. These industry patterns resulted in the development of OnServiceMD Version 3.0. Work began on this complete software redesign in 2016, and was completed in early 2017. Release of Version 3.0 represented new standards for performance, security, and a completely new feature set. The introduction of OSMD Version 3.0 corresponded with the release of OnServiceMD Scheduling, a novel provider scheduling solution which offered features not available in other physician scheduling platforms with availability at a fraction of the cost of products from other scheduling vendors. Version 3.0 further introduced the integration of OnServiceMD Scheduling with the redesigned OnServiceMD Clinicals, a powerful combination which further enhances provider workflow while maintaining a highly organized schedule. Lastly, Version 3.0 implemented a completely new reporting platform, which enables hospitalist leaders to produce innovative clinical and scheduling reports that they can depend on to help understand their service’s staffing, team census, and other aspects of their operations.